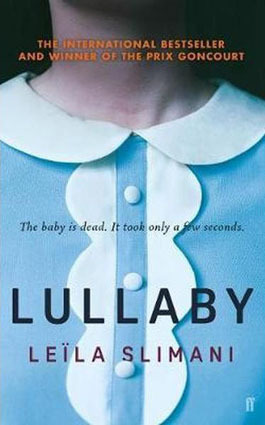 Basing a psychological thriller around a nanny who murders the children she cares for makes for a terrifyingly effective sensational story, but where “Lullaby” by Leila Slimani really excels is in its sophisticated take on classism, privilege and isolation in modern-day Paris. 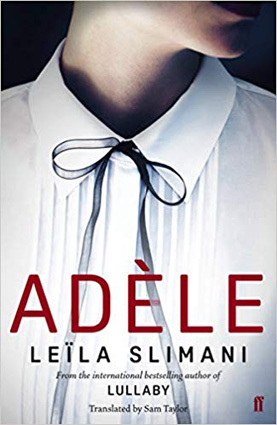 The novel opens with the discovery of young children Adam and Mila who have been slain by their nanny Louise. How Louise came to become an integral part of this family’s life and felt driven to this gruesome end is deftly explored throughout the story. Busy professionals Myriam and Paul grow increasingly distanced from the care of their children and the upkeep of their home once they hire Louise. The tension between the couple’s personal and professional relationship with the hired help is tested over time until the nanny’s position as an intimate familiar within the household becomes untenable. This is a fast-paced gripping tale that raises a lot of provocative questions. It’s interesting how when a horrendous tragedy like the one depicted in this novel occurs one branch of public opinion will inevitably ask “How could the mother let this happen?” Obviously this a judgemental and loaded question, but if it’s going to be asked why don’t people also ask how the father could let this happen. It points to a continuing misogynistic view that it’s the mother’s position to care and protect for children. Slimani sensitively portrays how Myriam finds her passion at being a talented and skilful lawyer outweighs her desire to participate in the daily parenting of her children. Since Louise is so talented and capable in her domestic work eventually “Myriam lets herself be mothered.” Since Myriam’s husband Paul is equally ambitious in his career it presents a dilemma that many parents must face when trying to balance family life with their professions. Yet, the reality is that many hired child minders come from low-income or impoverished backgrounds where nannies have to abandon caring for their own families to work caring for other children. This creates a conflict where both the parents and the child-minders are driven into an emotional quagmire. I had the wonderful privledge of having lunch with Leila Slimani. I found it particularly effective how Slimani portrayed the struggles of the circle of nannies who Louise encounters. Her friend Wafa who works as a child-minder is in such a desperate situation she’s basically been reduced to indentured servitude or slave labour. She remarks to Louise: “They pay my rent, but in exchange I can never say no to them.” This power dynamic is complicated by the intimate relationships which develop between the carer and the children/parents. Nannies are treated in some ways as part of the family, yet they are also an employee. Louise’s purportedly liberal-minded employers are only prepared to extend their empathy for Louise’s particularly precarious situation to a certain extent. At the same time, it’s entirely understandable that these hard-working parents don’t comprehend Louise’s situation and it’s believable that Louise tries to hide the reality of her situation. 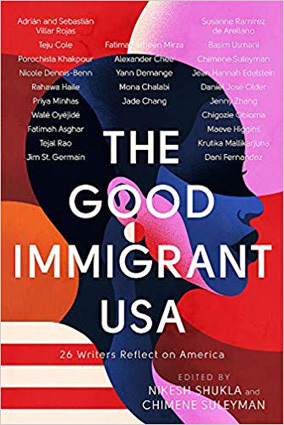 The tragedy at the heart of this novel is that we live in an imbalanced capitalist system where the privileged want to believe they’ve hired a Mary Poppins, but nannies are obviously real and complicated individuals.